HB 2346 has moved through several House committees and may see a floor vote this week before moving on to the Senate. However, the new incentive rates were significantly reduced along the way, which could stall growth in the industry. Please take a moment to update your legislators and let them know you want them to pass HB 2346 with effective incentive rates. As a reminder, HB 2346 will protect existing incentive rates for all current solar customers, while providing new funding for solar customers going forward. 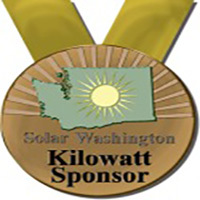 It only takes about 30 seconds and your help will go a long way toward ensuring a sustainable solar industry in Washington. Type: Half to full-time, permanent, depending on experience, interest, and training lead-time needed. Optional temporary position may be possible. Previous training, experience, or education in the renewable energy industry is a plus. Do good for the planet with a renewable energy career! Whidbey Sun & Wind (WSW) is a leading renewable energy design & installation company in the Pacific Northwest. Founded in 2000, WSW is a licensed general and electrical contractor. WSW is located in Coupeville, central Whidbey Island, and provides renewable energy systems throughout the northern Puget Sound region. WSW is a full-service renewable energy company, providing consulting, design, installation, service, and maintenance for solar power, solar water heating, wind power and micro-hydro systems. WSW cares deeply about our team members, community, and sustainability. WSW values and supports education and training for our team members. 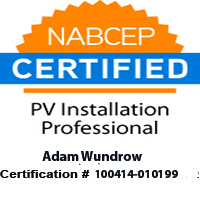 Five team members are NABCEP-certified PV installers. Washington's renewable energy incentive program needs an overhaul now. Reps. Jeff Morris (D) and Norma Smith (R) have sponsored House Bill 2346. This bipartisan bill is designed to promote a sustainable, local renewable energy industry by modifying the current renewable energy system tax incentive program. Renew and reform support for solar at a lower cost, ensuring that we continue to lead the effort to increase renewable energy at a time when it is most needed. Provide the stability that consumers, installers ,and manufacturers need in order to continue strong deployment of solar. Create certainty for new solar consumers by guaranteeing 10 years of incentive payments at a specified rate. 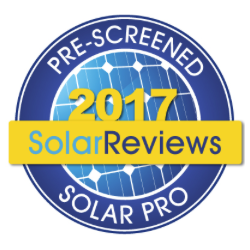 Protect existing solar customers by closing the existing incentive program and freezing incentive rates for current participants in that program at the rate they received in their 2014-2015 payout. 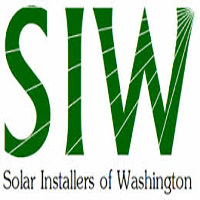 ​SIW has provided an easy interface to send an email to your legislators. Just click here and enter your information to send a message to your state legislators urging them to pass HB 2346! There is opportunity for growth within WSW for any team member who demonstrates dedication, wisdom, and skill. However, applicants for this position should not expect to move into another position after only a brief time as installer. 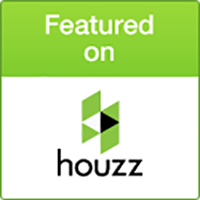 Lives in our North Puget Sound community, within sustainable commuting distance of Coupeville. Climb and work from ladders, scaffolding, and towers, with harnesses. Working with a great team of people who care, to make our community and the world a better place! PSE net metering customers have been receiving notification that their production incentive payments might be reduced for the 2015-2016 fiscal year. OPALCO customers' production incentives were already reduced by about 40% for 2014-2015. Benton and other small PUDs have closed their incentive program to new applicants. SnoPUD will be contacting customers soon with information about the future of its incentive payments. Utilities are reaching their incentive caps. Per the law, utilities may pay out up to 1/2% of their revenue or $100,000 in production incentives, whichever is greater. When the caps are reached, utilities must proportionally reduce incentive payments. 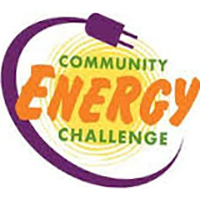 Some utilities are opting to close the program instead. This is controversial, but because the incentive program is voluntary for utilities, it is not illegal to do so. Several factors have contributed to utilities reaching their incentive caps. First, solar is a success in Washington. Solar growth has exponentiated. On average, homeowners and businesses are installing larger systems than they used to and they are specifying Washington-made equipment, which has a higher incentive rate. We also enjoyed a sunny and mild winter and spring that, while gorgeous, reduced utility revenues substantially, thus reducing their incentive payout caps. Call or email your local officials and ask them to support a solar bill this session. You can find your legislator's contact information with District Finder. If you're pressed for time, SIW has made it easy for you to contact your legislators with a pre-written message that you may customize. Additionally, take a few minutes to sign the petition to Committee Chairs Doug Ericksen and Jeff Morris. These chairmen have tremendous influence over a solar bill's journey to the governor's desk. And finally -- especially if you're a resident in the 10th District -- take a minute and thank Representative Norma Smith for her stalwart support for solar. She was a real champion for us last session and deserves our gratitude. A grid-tied solar photovoltaic (PV) system is a low-maintenance electricity generator that relies on the ultimate renewable resource – the sun. In years past, families primarily installed solar for environmental reasons. Now, relatively low component costs and financial incentives are enticing families to install solar for economic reasons. The image above shows a simple grid-tied PV installation. 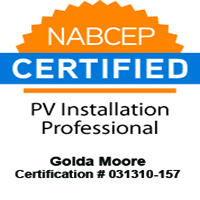 PV modules can be installed on nearly any type of roof surface. They can also be ground-mounted. When sunlight strikes the modules, the electrons are ‘excited’ and direct current (DC) energy is produced. The inverter converts the DC energy to alternating current (AC) that is usable in your home or business. The production meter measures the entire energy output of the PV array before it flows into the building’s main electrical panel. The energy is used as it is produced when there is demand from the home. Excess energy passes through to the utility grid. The net meter tracks the energy flow between the home and the utility. When the household is using the PV energy as it is produced, it is not purchasing electricity from the utility. The household receives retail-rate credit for the electricity that flows back into the grid. 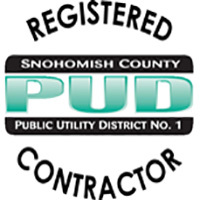 For PSE and SnoPUD customers that’s about 9 cents per kilowatt-hour (kWh). Excess energy produced on long sunny summer days = low winter utility bills. This is called net metering. The household receives an incentive payment for every kWh produced whether the energy is used by the home or not. This is the production or cost recovery incentive and runs through June of 2020. Production payment rates for most utilities are between 15 and 54 cents per kWh, depending on the components used. PV systems smaller than 10 kW are exempt from sales tax. 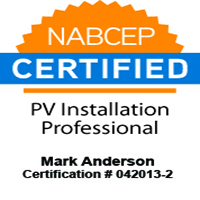 PV systems larger than 10 kW receive a 75% sales tax rebate. 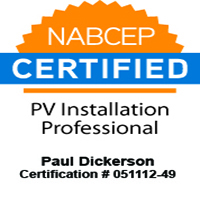 PV system purchasers receive a 30% federal tax credit. Some utilities provide additional incentives. SnoPUD pays up to $2,000 for a residential PV system and up to $8,000 for a commercial PV system. PV system buyers are recovering the cost of their purchase in about 5 years when using Washington-made materials; about 10 years when using out-of-state equipment. Assuming a PV system will only last as long as the 25-year warranty of its modules –an extremely conservative assumption – that system will produce ‘free’ solar electricity for 15 – 20 years. Low-interest loans are available for PV system purchases. Some rely on home equity. Others are secured by a lien on the PV system itself. A recent study led by Lawrence Berkeley National Laboratory found that a PV installation adds approximately $4 per watt to a home’s resale value. That’s about $20,000 for a 5 kW system. Homes with PV sell faster too. We're updating our website and it is very much a work in progress. The new format will allow us greater freedom and flexibility of design. We will also be able to update content faster and keep the site up-to-the-minute relevant. Please bear with us. And as always, give us a call at 360.678.7131 or send an email to info@whidbeysunwind.com if you have any questions.